After you learn this simple beauty hack there is no longer the need to go on expensive salon visit and you will save a small fortune over the years! 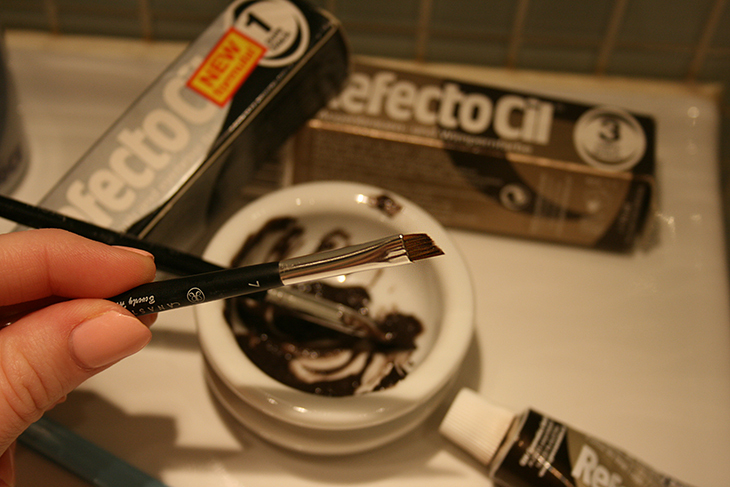 The product I use is called RefectoCil and it is the most common products all around the world in beauty salons. So then you will be using that exact same product which is great! It is much more long lasting than any other brands hence it is so popular among professionals. Also when tinting your eye lashes make sure you buy this silicone pads to protect your eye area. Step 2. 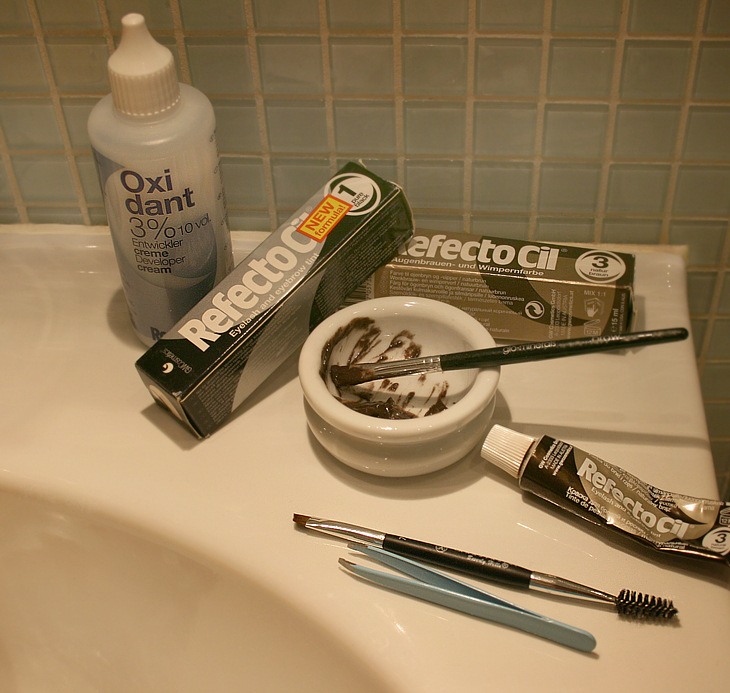 Use the RefectoCil cream peroxide. 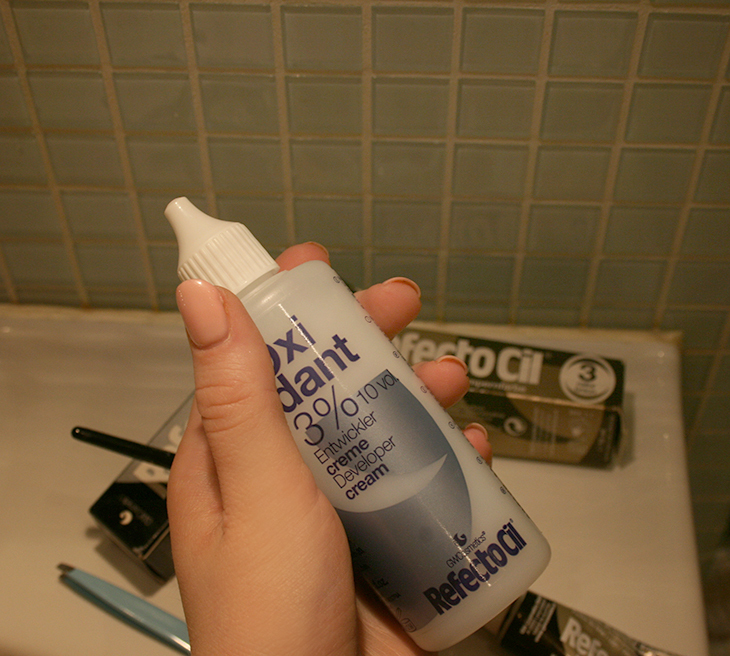 Do not buy or try the liquid peroxide since it tend to make the solution too watery and it is more difficult to keep out of the eyes and to shape the eyebrows with. I mix about 2 cm of the dye with about 16-18 drops of the cream. This will be more than enough for both eyebrows and lashes, however I use this brown color on my eyebrows and this black or blue-black on my lashes. Make sure you blend the color properly so the cream and the color gets blended really well. Step 3. 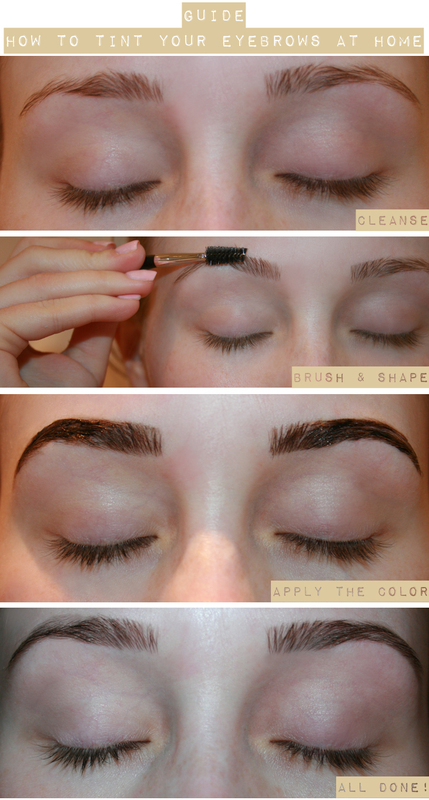 Brush you eyebrows upwards for the best look. On all these photos I am not wearing any make up nor eye lashes tint, so only focusing on the brows in this part. And as you can see I got some freckles, it get loads of them when I tan haha! Step 4.  Apply the color with a thin eyebrow pencil like the one I show in the photo above. Now this is the most important part of the whole tutorial, do not fill out where your current eyebrows are, fill out the shape you ideally want. Just like when you use a normal eyebrow pencil and filling out your eyebrow. What this trick will do is simply amazing. All over the face you and tiny, thin (usually very light/blonde) hair, all this hair is maybe not visible to the naked eye without a strong light faced you. But when you dye these hair you can actually change the shape of your eyebrows! This is a trick I learned from watching a show about how recovering cancer patients gets their eyebrows back. So if you suffer from uneven eyebrows or eyebrows that you once upon a time plucked way to much and now are dying to grow thicker, this is what you should and need to do, at least once a month! As you can my eyebrows was a few years ago quite thin, but when I went to get them threaded in 2012 (read more about the horrible experience in Swedish here) the lady that did it made them uneven. So I have one perfect eyebrow and one that is thinner, so I do this quite often since I am not sure if I want to get a cosmetic tattoo. Step 5. Leave it on for about 5 minutes! Step 6. Soak a cotton pad in water and gently wipe off the dye, I usually repeat this a few times to made sure all the color is gone. Don’t worry if you eyebrows appear darker than you wanted them too, it is just because the color is stuck to your skin and it will fade away after 1-2 hot showers. Step 7. 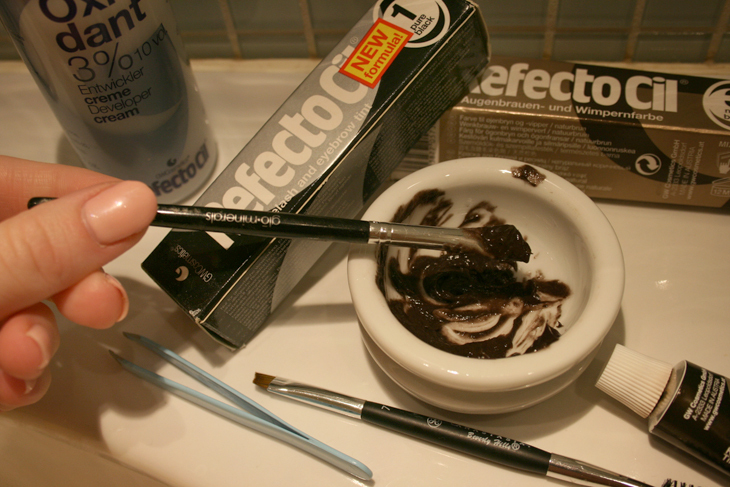 Brush you eyebrows once again and just a small, fine scissor to remove any excess hair. Refrain from plucking the hair at all must and if you want to try to change your eyebrows shape a little always try with a small scissor first so the damage wont be permanent!